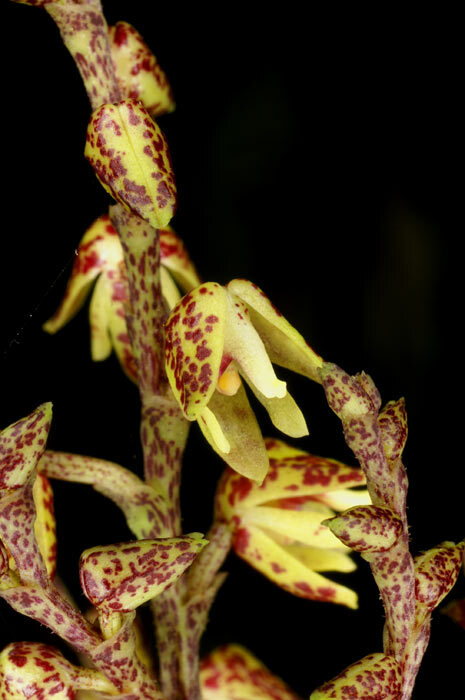 Polystachya pachychila Summerh. 1953 SECTION Cultriformes Kraenzl. 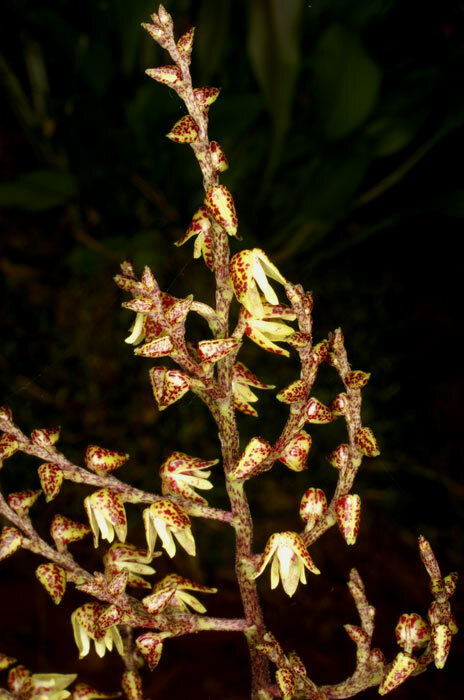 Found in Zaire, Rwanda and Kenya at elevations around 1800 to 2300 meters as a mini-miniature to small sized, cool growing epiphyte with clustered, narrowly cylindrical, dark green pseudobulbs carrying a single, elliptic to ovate, obtuse, basally auriculate leaf that blooms in the later summer on a terminal, sparsely hairy, branched, 1.6 to 6" [4 to 15 cm] long, successively several to 60 flowered inflorescence with inconspicuous bracts.